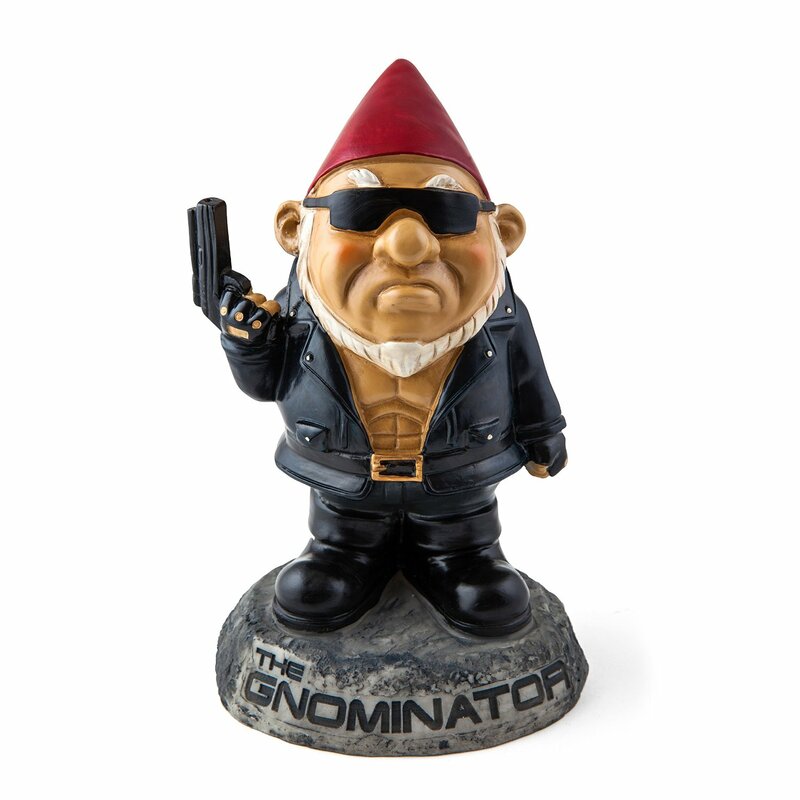 The Gnominator Garden Gnome is the perfect guardian for your garden. He won’t rest, he won’t stop… until garden intruders are dead. He was sent from the future for just that purpose. I guess the timeline changed and Skynet took up gardening. Don’t ask me. I just know that he showed up and stole some biker gnome’s clothes and had a hell of an adventure. 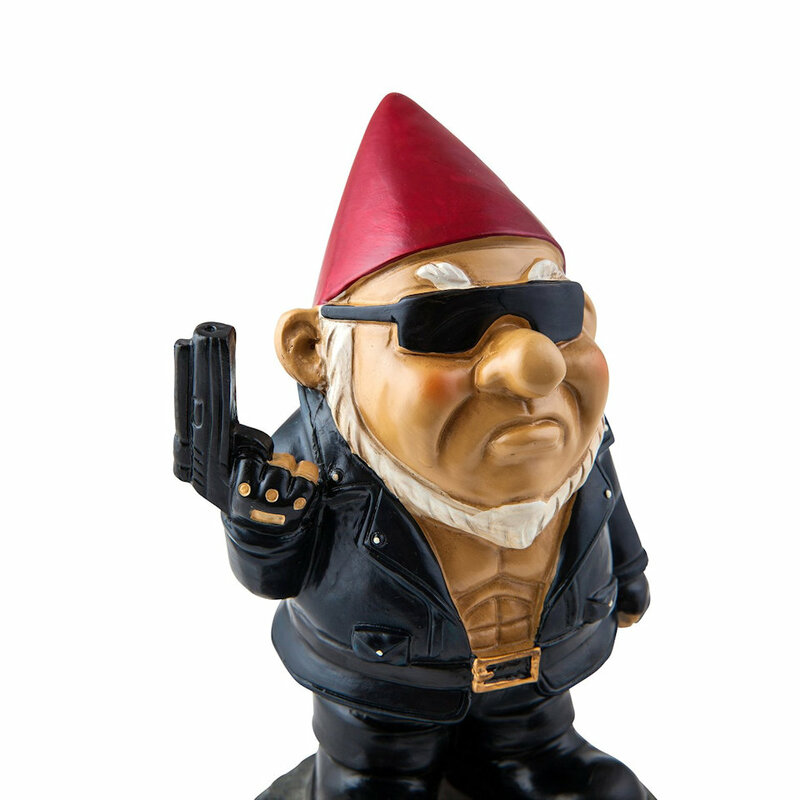 This gnome has great Gnominator features and is hand-painted and weatherproof. Weather can’t stop it. Nothing can. He stands about 9.5 Inches tall and will make any squirrel or other critter think twice about coming back from the future to dig in your yard or garden.